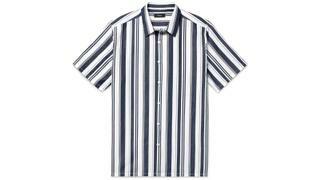 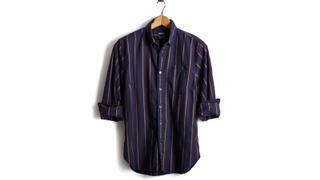 Theory’s dyed white and navy bold-striped cotton and linen camp shirt softens and fades like denim. 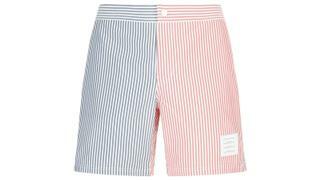 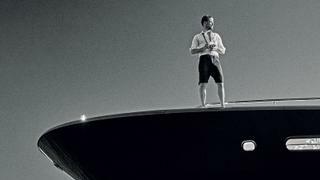 Thom Browne's stripe swim shorts are quick drying and go seamlessly from surf to shore. 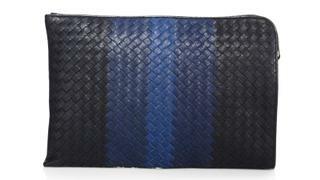 Bottega Veneta’s signature “intrecciato” woven leather pouch has inside slip pockets and a zip closure. 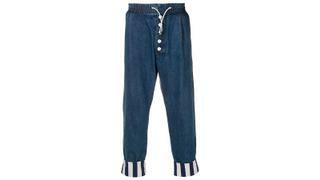 Sunnei’s cotton striped trousers with button closure are as comfortable as pyjamas.